You must make reservations at least 5 minutes in advance of the time at 18th & 21st. We have plenty of free parking in the garage adjacent to our building. There is also a covered walkway from the garage to the front door of the restaurant. Thanks for your interest in Cured / 18th & 21st to host your private event. We have spaces available for as few as ten and as many as 350 for your next event. Whether it's an intimate dinner with friends or a business holiday party we have space to suit your needs. We are excited to hear from you and help you plan the perfect event! Please contact patti@weckerhospitality.com so we can better assist you in planning your event. The Cured / 18th & 21st Team. 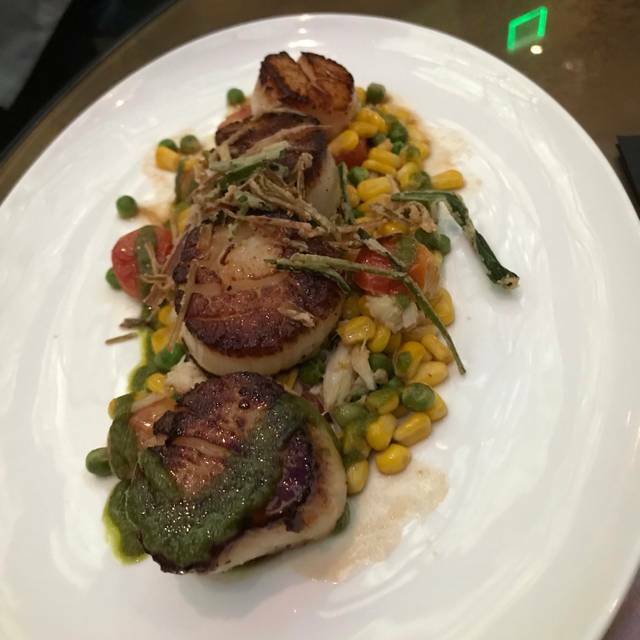 18th & 21st brings something fresh and classic to Columbia, Maryland. Named after the Constitutional Amendment that enacted Prohibition and then subsequent Amendment that repealed it, 18th & 21st promises to bring back a bygone era through an elevated, tailored evening experience. Our food and cocktails reflect the feel of prohibition supper clubs. This not to say we're stuck in the past, but rather that we try and emulate the style of that era. That means beautiful presentation, careful crafting, and perfect pairings to keep your night on beat. Combined with live music, this creates an unparalleled experience for the discerning and adventurous looking for a sophisticated evening. Due to the nature of the experience at 18th & 21st we request that all diners be over the age of eighteen. Enjoy all wines by the bottle for 50% off the regular price. 20% off all whiskey by the shot every Tuesday night. Very good food, unique and wonderful setting - incredible ambiance. It's a speakeasy theme. Starts our by going through the Cured restaurant/bar, down a dark hallway up to dingy doors. They open the doors and you walk into a large, gorgeous room with the coolest ceiling you've probably ever seen. Alyssa was terrific. she was knowledgeable, efficient, appeared at the right times, was genuinely friendly and fun. The jazz group was great. This was our first visit and it will not be our last. It isn't cheap but the overall experience is well worth it. John, Thank you for the marvelous feedback. We are charmed to hear you had such a great time with us. We are thrilled your meals were amazing and everything was to your liking. We're glad that Alyssa was amazing and our team took great care of you. We hope to see you again soon! Great food and service in an upscale hip environment. Alan, Thank you for the great feedback. We're thrilled that your meals were amazing and our team took great care of you. We appreciate the nice review. We hope to see you again soon! Delicious food and the ambience was pretty and warm. The noise level was slightly increased due to the live music. The volume on the music was a bit too loud but nice music. Reasonably priced food. Thank you for the great review. We are thrilled to hear you had a fabulous dining experience with us. We are glad that you loved your meals so much and everything was nice. We hope to see you again soon! Columbia finally has an upscale dining experience! Great food in a beautiful environment with good service. All this with live music in an acoustic environment that is intelligently designed so that you can easily enjoy conversation. A breath of fresh air! Amy, Thank you for the wonderful words. It's lovely to see that you had a good time with us. We are thrilled that our team took excellent care of you and your meals were amazing. We appreciate the great feedback. We hope to see you again soon! Dinner was fantastic. It’s such a beautiful room and the jazz band on weekends is the icing on the cake. Our wonderful server was incredible; funny, knowledgeable and full of personality! All of our food choices were delicious. We are returning for a special birthday in May with another new group who have not been here yet. Can’t wait for them to enjoy the experience. Charlie, We are delighted to see that your visit with us was great. We are so happy that you enjoyed our live entertainment. We're glad to see our team took marvelous care of you and were so friendly and personable. We are charmed to hear that you loved your meals and everything was so delicious. Thank you for the great review. We hope to see you again soon! The food was amazing. 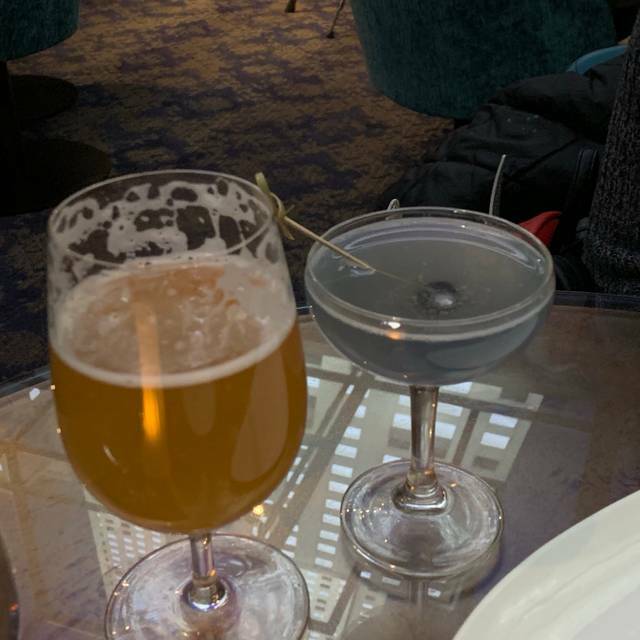 I was disappointed that the dessert and drink that I wanted had been taken off the menu a few days prior, however when I asked about the drink the bartender made it for me! The service was phenomenal. I had the scallops and my husband had the tomahawk steak and both dishes were amazing. The gin and tonic with the house made tonic was good. The ambiance wasn’t exactly what I had expected I think it caters more to an older crowd, next time we will try cured which is more our style. Other than the menu changes everything was great! Katharine, We are overjoyed to hear that you had such a great time with us. 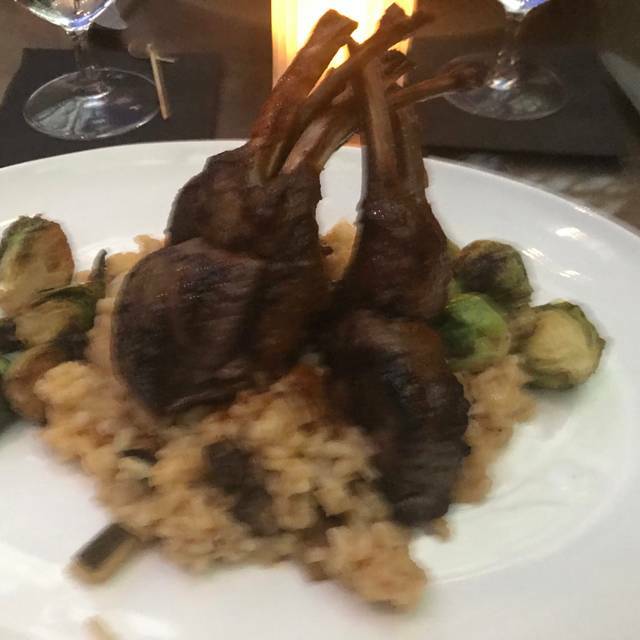 We are so happy to hear that your meals were so enjoyable and our scallops and tomahawk steak so wonderful. We're thrilled to see our team provided you with stellar service. We hope to see you again soon! Food was ok. Should have been better for the price. Service was great and live music was very nice. Thank you for taking the time to share your feedback with us. We are thrilled our team took good care of you and you enjoyed our live entertainment. We appreciate the feedback. We hope to see you again soon! Thank you for the great review. We are thrilled to hear that you had a lovely time with us. We appreciate the marvelous feedback. We hope to see you again soon! Food, as always, was superb. Very tasty. The music (Federico, Warren and Romer) was great. Could listen to them for hours! Will be back on May 4 to celebrate birthdays. Thank you for the kind words. It's so wonderful to see that you had such a great time with us. We are thrilled that your meals were delicious and everything was to your pleasing. We're happy our team took excellent care of you and you enjoyed our live entertainment. We hope to see you again soon! Thank you for the marvelous feedback. We're happy to hear that you enjoyed our atmosphere and your meals were great. We hope to see you again soon! Great food, great music, great service! Great for date night!! Debbie, Thank you for the marvelous feedback. We're flattered to hear that you had a nice dining experience with us. We are thrilled that you enjoy our live entertainment and your meals were great. We hope to see you again soon! We came to 18th and 21st to celebrate my boyfriend's birthday. We were greeted warmly and our server gave us wonderful suggestions for drinks and answered all of our questions about the menu with a smile and great sense of humor. The ambiance was lovely and the live music was fantastic. The other patrons were also in a great mood and exchanged birthday wishes, greetings and asked about each other's meals. A great night out, without having to travel to DC or Baltimore, while still feeling high-end! We loved our scallops and lamb chops! The smoky old fashioned is certainly the way to go! And the donut bread pudding was a fantastic close to a wonderful meal and experience. Thank you for the delightful feedback. We're charmed to see that you had a lovely time with us. 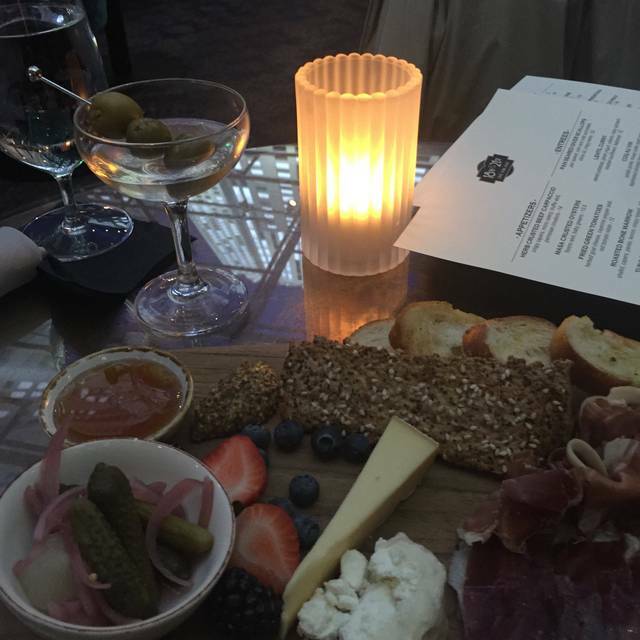 We are thrilled to see that you enjoyed your meals and found our smoky old fashioned great. It's so wonderful to see that our team provided you with stellar service and were so helpful and funny. We appreciate the lovely review. We hope to see you again soon! Very pleased with everything at 18th and 21st. The service was great without being over the top. The food was amazing and the room is beautiful. Thanks, for the nice feedback. We are happy to see that you had an enjoyable experience with us. 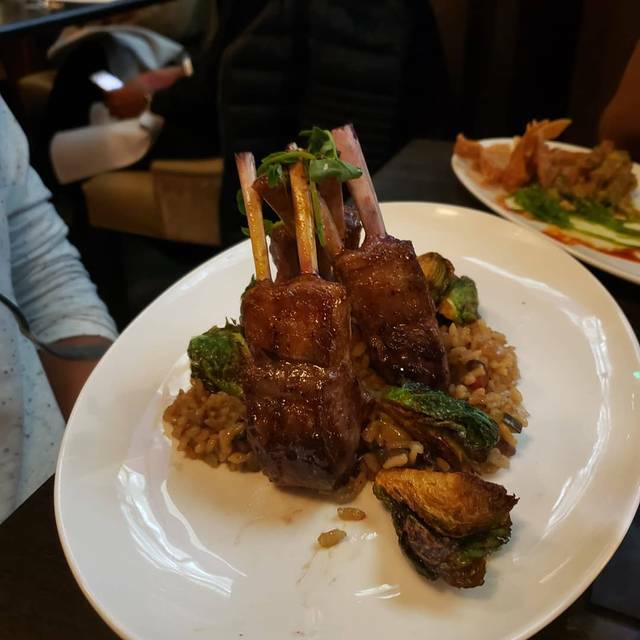 We're glad to hear our team took fabulous care of you and your meals were delicious. We hope to see you again soon! Nice staff! Great atmosphere!! Treated like an honorary guest! It was my fiancées birthday. Great food! Staff was awesome!! Will go again! Jessica, Thank you for the blissful feedback. We are so excited to hear that you love the atmosphere we provide and your meals were excellent. We truly appreciate the kind words. We hope to see you again soon! Went out with friends. Have been here before but very willing to go back. Very good food options. Menu offers all proteins and sides offered in today’s modern restaurants. The tuna and avocado tartare was most delicious. My husband had a huge veal steak that he enjoyed very much. My friends and I had fish that was cooked to perfection. My only dislikes are the Lounge is rather small for live music and we had trouble talking to each other. Loved when it was just piano. Also because of its “theme” the bar lacked ability to make drinks I like but wine and bourbon galore. Would I go back? In a heartbeat. Thank you for the marvelous feedback. We are so thrilled to see that your dining experience with us was amazing. We are overjoyed to hear you enjoyed your meals and found our veal steak and tuna and avocado tartare so delectable. We are happy to see everything was to your liking. We appreciate the kind words. We hope to see you again soon! The whole experience was amazing. Alex was phenomenal! We appreciate the kind words. We are delighted to see that you had a lovely time with us and Alex took excellent care of you. Thank you again for the feedback. We hope to see you again soon! I love this place. Love. Service is amazing. Food is absolutely delicious. Ambience is great-live music. Location is good. Parking is easy. Nothing about this experience is bad. Nothing. I’ve had the steak, scallops and lamb. Creme brûlée and donut pudding. Love the half bottle wine specials. Thank you for the marvelous feedback. We're happy to see that you had a nice time. We are glad that our team provided you with amazing service. We are thrilled that your meals were wonderful and you found our steak, scallops, and lamb so delectable. We appreciate the kind words. We hope to see you again soon! The food and service are incredible. Love the live music! Thanks for the great feedback. 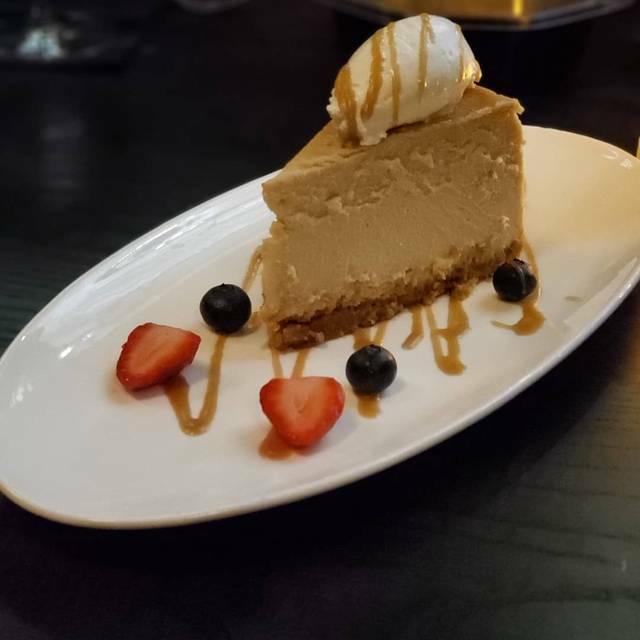 We're flattered to see your meals were amazing and our team took wonderful care of you. We are happy that you enjoyed our live music so much. We hope to see you again soon! Our server was very knowledgeable about the menu and was able to make good recommendations. Thank you for your wonderful words. We're charmed to see that your visit with us was great and our team provided you with stellar service. We appreciate the kind recommendations. We hope to see you again soon! Service was out of this world: friendly, attentive without being smothering, taught us about the menu. Noise level was high, but that's why we went! The jazz... I wish there was singer performing jazz standards. Food was good, only small issues... they seem to be a little afraid of seasoning, and pork belly was a little thin and overdone for my taste. I've always wanted to try an aviation cocktail... there version on the cocktail menu was superb. Had 2. We will absolutely be back often. Scott, Thank you for the marvelous feedback. It is so wonderful to hear that you had a lovely experience with us. We are charmed to see that our team provided you with outstanding service and were so attentive and friendly. We're happy that you enjoyed your meals and found our cocktails amazing. We appreciate the kind review. We hope to see you again soon! Upscale environment! The ambience, food and service exceeded our expectation. Excellent service from start to finish. I highly recommend this place. Thank you for the blissful feedback. We're excited to see that your dining experience with us exceeded your expectations. We are thrilled to hear our team was great and provided you with amazing service. Thank you so much for the lovely review and great recommendations. We hope to see you again soon! Awesome food, great waitress and enjoyable atmosphere. Love the live music. Thank you for the nice feedback. We're glad to see that you had an awesome time with us. We are thrilled your meals were amazing and our team took fabulous care of you. We hope to see you again soon! The food was absolutely amazing! The portions were perfect. Thank you for the nice words. We are glad that your meals were amazing and everything was delicious and to your liking. We appreciate the kind words. We hope to see you again soon! Having dinner with my family from out of town was fun and delicious. They have live music 6 nights per week so it’s an impressive place to bring my NYC family. We had lamb, the pork porterhouse, and the duck two ways; would recommend all the dishes and will be back soon. Thank you for the nice feedback. We're glad to see that you enjoyed your visit with us. We are so happy that your experience was fun and you enjoy our live entertainment. 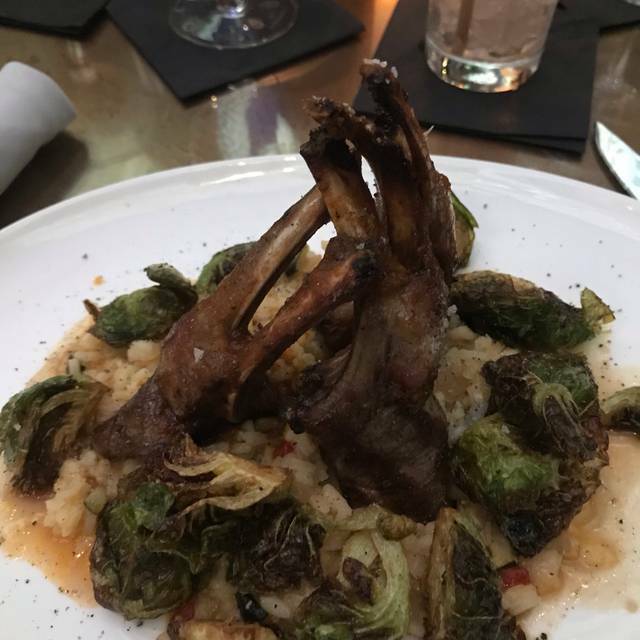 We are thrilled you found our lamb, the pork porterhouse, and the duck two ways so amazing. Thank you again for the kind words. We hope to see you again soon! The service and food were suburb at this “special occasions” restaurant (read: pricey). Great atmosphere in a unique "speakeasy" setting and we enjoyed the live jazz quartet. The noise level in the restaurant was high but I suppose that has become the new norm for even upscale places. One negative is that the bar “pour” is lacking with small cocktails at $16 a-piece. (A martini should always be shaken and poured tableside and served in a Martini glass). Our server was fantastic and she ensured we had a memorable evening. We will definitely return again for a special occasion. Thank you for the feedback. We appreciate you taking the time to share your experience with us. We are delighted to see that our team provided you with amazing service and made your visit so memorable. We hope to see you again soon! The staff, the music, the food were all amazing. I would recommend this place to friends and family regardless of the occasion. Thank you for a great experience! Alex, Thank you for the blissful feedback. We are thrilled that you enjoyed our meals and everything was wonderful. We're glad that our team took excellent care of you and you enjoyed our live entertainment. We hope to see you again soon! Well worth it. I took my family there for dinner first time and loved it. Piano playing in the back round, however not noisy at all. Great food, Great service and will go back!!! Glenn, Thank you for the feedback. We're happy to see your experience with us was so great. We are happy that you find your meals delicious and everything to your liking. We are thrilled that our team provided you with great service. Thank you again for the kind words. We hope to see you again soon! There were six in our party and almost everyone raved about their meal. The only real complaint was one person ate only the edges of her pork chop (which she said was very good) but she found the interior rare. (I considered it medium rare pink.) She was going to bake it some more at home for leftovers. the pork and said it was perfect. The chicken salad was also excellent. The service was excellent and very efficient from the front door to the end of the meal. We didn’t have dessert because of theater afterwards. This is our fourth experience and it definitely will not be the last! When we have the whole evening to enjoy without being rushed, we will visit 18th and 21st. We would highly recommend. Looking forward to another occasion at Cured...and a first visit to 18th and 21st. James, Thank you for the marvelous feedback. We are thrilled to see you truly enjoy your dining experiences with us. We are happy that you find your meals delicious and our sushi tuna avocado salad was amazing. We're glad that you love our Maryland crab soup and find it to be the best. We really appreciate this lovely feedback. We hope to see you again soon! Thank you for the kind words. We're charmed to see that your meals were great and you enjoyed our live entertainment. We appreciate the lovely feedback. We hope to see you again soon! We love this place. Food is great, love the live music, but most importantly the service is great. Staff is always responsive and informed. This is our favorite chill spot. You will not regret going!! Stephen, Thank you for the cheerful feedback. We are glad to see that you enjoyed your meals so much. We are thrilled that you enjoyed our live entertainment and our team provided you with amazing service. We appreciate the nice words. We hope to see you again soon! This restaurant provided the best overall experience i’ve had in a long time. The food was amazing especially the donut bread pudding I had for dessert. It was probably one of the best things i’ve ever eaten and i’ve eaten a lot of great things in my lifetime. They had Some nice live entertainment. I would totally recommend this restaurant to everyone and if you don’t go you’re missing great out on the perfect place to spend your birthday like I did. Tom, Thank you for the fabulous feedback. We're overjoyed to see that your experience with us was wonderful. 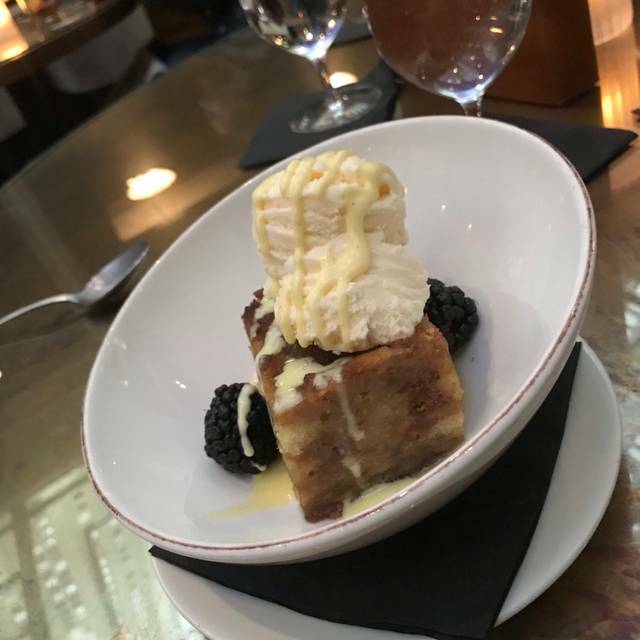 We are glad that your meals were amazing and you found our donut bread pudding. We are thrilled our team took great care of you and everything was to your liking. We hope to see you again soon! Pete, We thank you for the blissful feedback. We are excited to see you found our Porterhouse steak, bakes potato, and grilled broccoli so wonderful. We are thrilled to see our team provided you with stellar service. We hope to see you again soon! Our server Alan was AMAZING!! He took great care of us. He was super attentive and was so polite and friendly! Loved the ambiance. Food and drinks were good too. Overall great experience!! Thank you for the marvelous feedback. We're glad that you had a good time with us. We are thrilled our team took great care of you and Alan was amazing and so attentive. We hope to see you again soon! Amazing food, service, and ambiance!! Great spot for our anniversary date. We did not want for anything, and the live music was a great surprise on a Sunday night! Thanks, Stephaine. We're charmed to see that you found your meals great and everything was to your liking. We are happy to hear our team took great care of you and you found our live music great. We hope to see you again soon! Great meal. Best restaurant in Columbia, MD. They share a kitchen with another restaurant called Cured. This one has a speakeasy vibe with live jazz music at night. Joe, We appreciate the great feedback. We're so happy that your meals were great and you found them to your liking. We are thrilled you loved our atmosphere and live music. We hope to see you again soon! Great food. Great drinks. Great music. They had a live band. I got a delicious mushroom paste dish. And German chocolate cake. And a extra dirty martini. All of it was delicious. Thanks, Kristina. 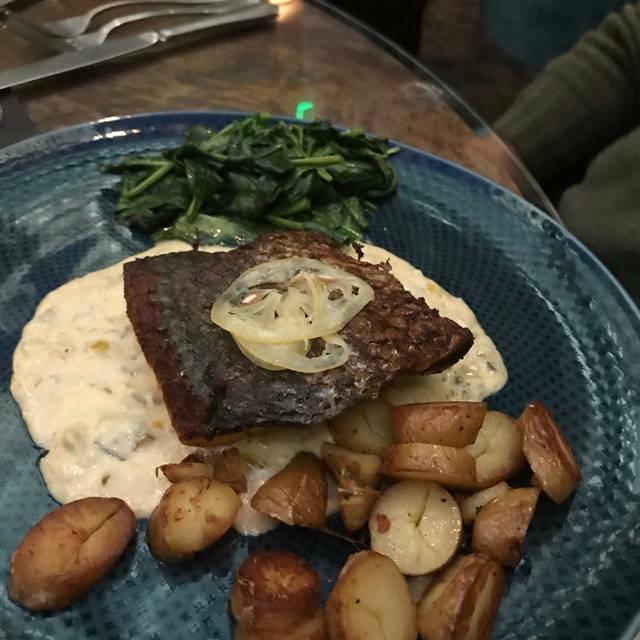 We are pleased to see that you enjoyed your dining experience with us at Cured. We're glad that your drinks were fabulous and your meals were delicious. We are happy you enjoyed our German chocolate cake and martini. We hope to see you again soon! Fun and delicious great experience for the 3rd time in a row! Thank you for the fantastic feedback. We are glad to see that you enjoyed your meals and everything was delicious. We're so happy you had fun with us. We hope to see you again soon! We celebrated my husband’s 50th Birthday. Wonderful food (Duck and Steak melted in your mouth and Bronzini was delicious -as were the appetizers sides and veggies! service (Alyssa I believe) was fantastic and as was host-loved decor and piano player...fabulous overall!!! Thank you for the nice words. We're glad to see that you had a good time with us. We are delighted that your meals were wonderful and you found our duck and steak so delectable. We are thrilled to see our team provided you with outstanding service and Alyssa was great. We hope to see you again soon! Everyone enjoyed their meal. Smoked prime rib, pork chop, branzino, and raves for the spinach and the asparagus. Thank you for the kind words. We're so happy to hear that your time with us was amazing. We are glad that you loved our smoked prime rib, pork chop, branzino, and raves for the spinach and the asparagus so much. We appreciate the wonderful feedback. We hope to see you again soon!